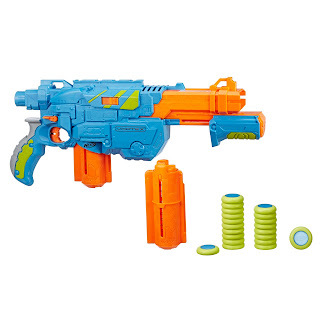 The initial leaked images were true! 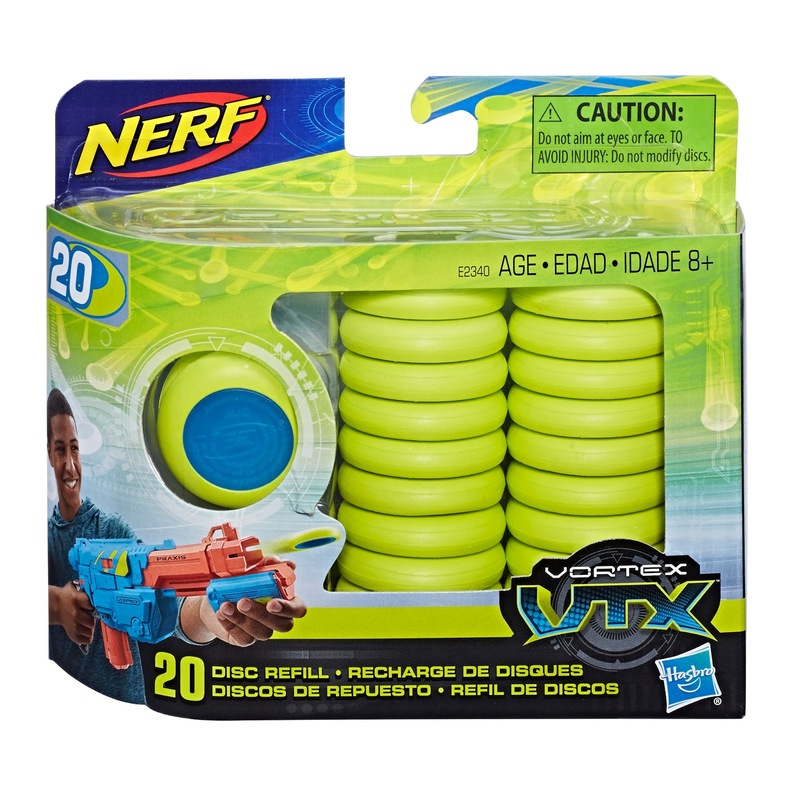 Nerf Vortex, after a few years of non-releases and hearing that lessons were learned from the line, is back! 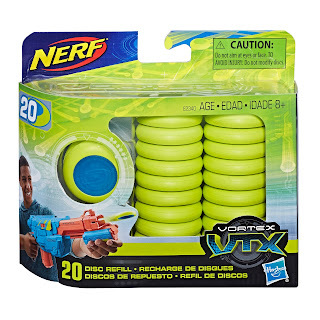 Coming out this fall (in addition to all the other huge releases) Nerf Vortex blasters are going to be exclusive to Target and having new colors with some of the old blasters of yore. 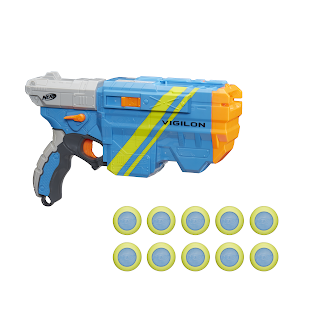 No Nitron or Proton so far, but everything old is new again. The ranges were ok when compared to Nerf blasters pre-Elite but the real bonus (to some folks) was that the discs could be fired just right to hook around an obstacle someone may be hiding behind. 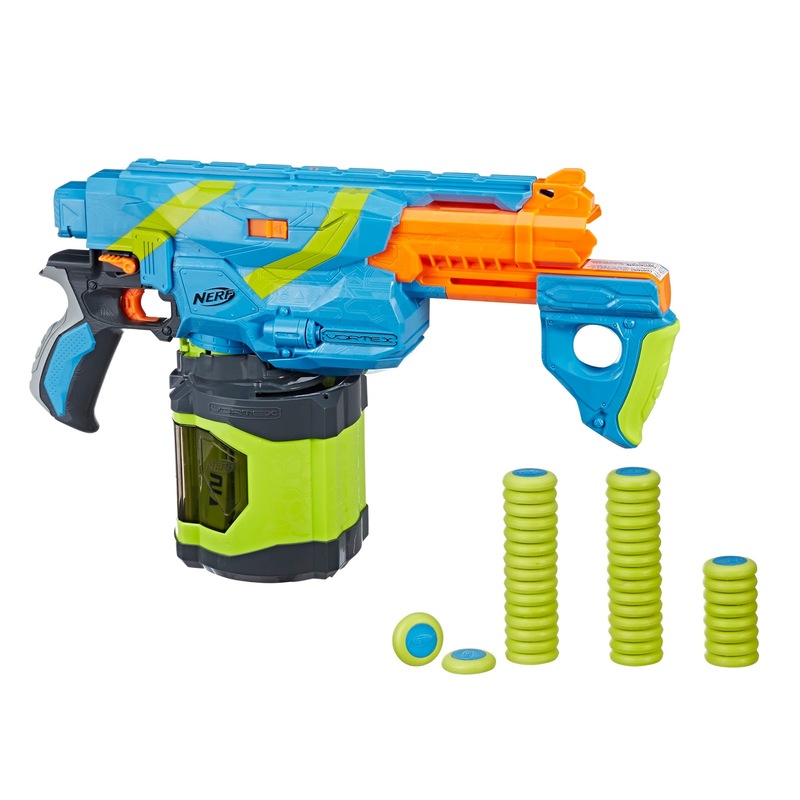 Mr. S at Nerd Drop figured it was Nerf's "trick shot" line, and that was pretty true considering some of the marketing that followed after. 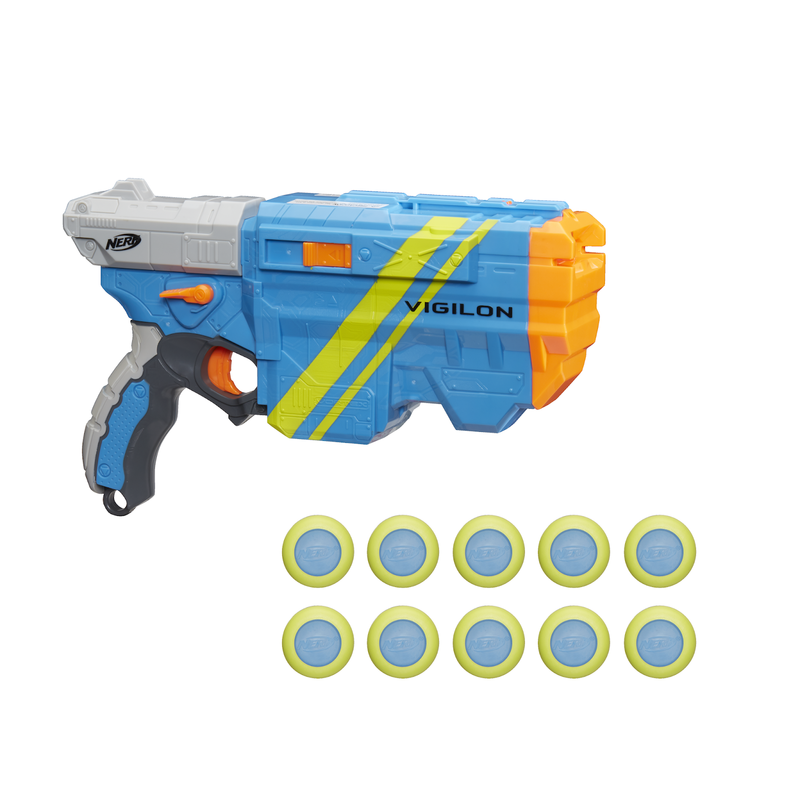 Another story that came out was that it was going to be a whole "Vortex Vs Elite" theme between the two lines, but was deemed too aggressive for the 8+ crowd (so I heard).